We all look forward to this time of year, when we welcome and introduce our university community to the extensive resources available in the Libraries. Here are some of our upcoming events and orientation sessions. 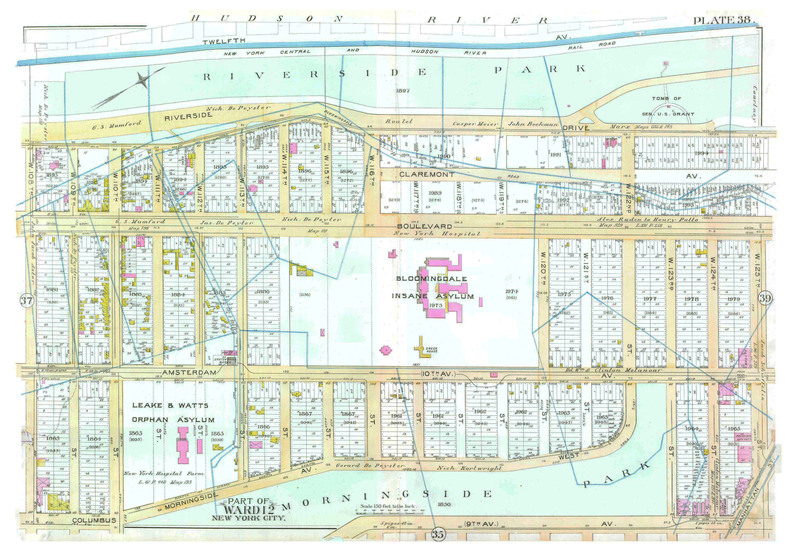 The Libraries will be offering five “Getting Your Bearings” sessions to introduce graduate students to our collections, resources, and services. The sessions begin with a 45 minute tour of key points and services in Butler Library, including an intro to our Rare Book & Manuscript library. The tours will begin in the lobby of Butler Library, just inside the main entrance. The second half of the session, which will take place in Butler 306, will be devoted to an overview of the Libraries’ online information system and ways to get the most out of it, and would be of value to all graduate students. Please drop by our Welcome Week table in the lobby of Butler Library. Take a tour of Butler Library, led by our librarians. 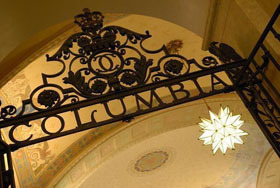 No reservation required; meet in the lobby of Butler Library. We wish you a successful and enjoyable Fall Semester! This entry was posted in Events & Exhibits, News, Orientation, Using the Library on August 25, 2017 by Pamela. 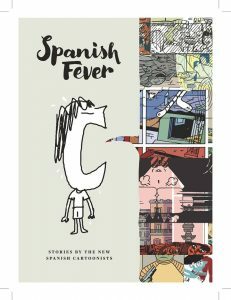 The Hispanic Institute and Comics@Columbia are delighted to work with the Spanish consulate to present five noted Spanish cartoonists in conversation. Come meet these five cartoonists, whose work on the cutting edge of comics has brought about a new wave of cartoon art in Spain. The panel will feature Santiago García, Javier Olivares, David Rubín, Ana Galvañ, and José Domingo, some of the many gifted artists featured in “Spanish Fever: Stories by the New Spanish Cartoonists” (Fantagraphics, 2016). 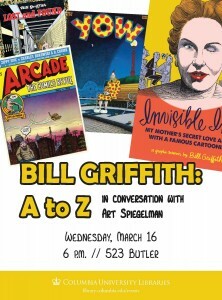 The discussion will be followed by a live drawing, as well as light refreshments. Come join us in Butler Library, room 523. Admission is FREE and OPEN TO THE PUBLIC, but REGISTRATION IS REQUIRED! This entry was posted in Events & Exhibits and tagged Comics, Graphic Novels, Spain, Spanish on September 13, 2016 by Karen Green. On behalf of the Humanities & History Librarians, welcome to Butler Library! We all look forward to this time of year, when we welcome and introduce our university community to the extensive resources available in the Libraries. Here are some of our upcoming events and orientation sessions. If you’re a graduate student, you may wish to attend one of our “Getting Your Bearings” orientations, designed to help you begin using the powerful information tools at your disposal and to point you to some of the most important library services and personnel at Butler Library and elsewhere on campus. The Libraries will be offering six “Getting Your Bearings” sessions to introduce graduate researchers to our collections and services. The sessions begin with a 45 minute tour of key points and services in Butler Library, including an intro to our Rare Book & Manuscript library. This is likely to be of most interest and relevance to people working in the humanities, history, and social sciences. The tours will begin in the Butler Lobby, just inside the entrance. The second half of the session, which will take place in Butler 306, will be devoted to an overview of the Libraries’ online information system and ways to get the most out of it, and would be of value to all graduate students. Participants who want to attend only the second half should feel free to come directly to Butler 306 about 45 minutes after the beginning of the tour. Take a tour of Butler Library. No reservation required; meet in the lobby of Butler Library. Learn about library services for faculty, graduate and undergraduate students and meet our Humanities & History Librarians and our Global Studies Librarians. This entry was posted in Events & Exhibits, News, Workshops on August 30, 2016 by John Tofanelli. 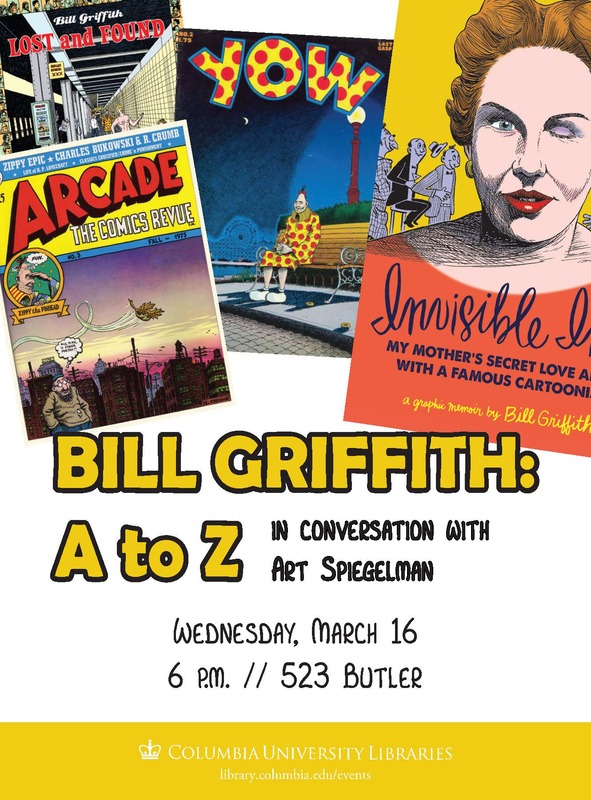 In addition to the Bill Griffith event on March 16, Comics@Columbia brings you two book talks that explore important people in the history of comics and cartoons. 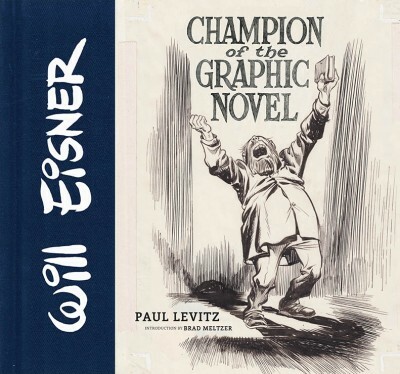 On Monday, March 7, in celebration of Will Eisner Week, Paul Levitz joins Columbia professor Jeremy Dauber for a discussion focusing on Levitz’s recent book, Will Eisner: Champion of the Graphic Novel. Levitz and Dauber are known on campus for the course they co-teach in the American Studies program, “The American Graphic Novel,” which will be offered again in Spring 2017. Eisner, of course, was a groundbreaking cartoonist, businessman, educator, graphic novelist, and ultimately, evangelist and champion of the comics form as art and literature. Join us for a spirited and scholarly discussion of Eisner’s significance, and how his influence has spread even to this university. Book sales and signing will follow the talk. On Monday, April 18, cartoonist and comics historian Michael Maslin joins renowned New Yorker cartoonist and illustrator Edward Sorel for a lively discussion of one of the legends of cartooning, Peter Arno. For over forty years, Arno contributed cartoons and covers to The New Yorker, helping establish the magazine as the ne plus ultra of Manhattan style and sophistication. 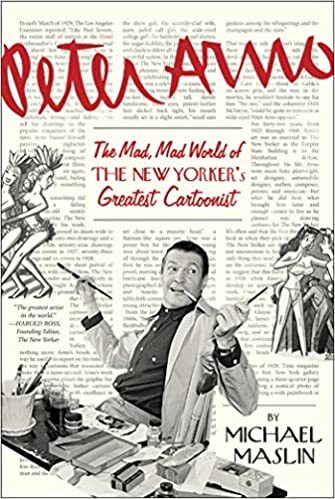 Maslin’s new book, Peter Arno: the Mad, Mad World of The New Yorker’s Greatest Cartoonist, examines this bon vivant, one of the New Yorker‘s first geniuses, an artist whose powers of observation brought to life every social stratum, from the 400 to Café Society and from debutantes to flappers. Book sales and signing will follow. This entry was posted in Books, Events & Exhibits and tagged cartoons, Comics, panels on February 18, 2016 by Karen Green. The Institute for Israel and Jewish Studies, in partnership with Comics@Columbia, is delighted to present a conversation with the legendary Jules Feiffer. Feiffer is perhaps best known for his long-running strip in The Village Voice (1956-1997), but he is also a distinguished playwright and screenwriter, evinced by his Academy Award (for the short film “Munro”), his Pulitzer Prize for Editorial Cartooning, his Obie Award, his lifetime achievement award from the Writers Guild of America, and his induction into the American Academy of Arts and Letters. Most recently, Feiffer has produced the first volume of a graphic novel trilogy, Kill My Mother, and his career has been celebrated in this year’s retrospective volume, Out of Line: the Art of Jules Feiffer. Join us on Monday evening, December 7th, as Jules Feiffer chats with comics writer, editor, and historian Danny Fingeroth. Book sales and a signing will follow the talk. This entry was posted in Events & Exhibits, News and tagged Comics, Graphic Novels, panels on December 3, 2015 by Karen Green. 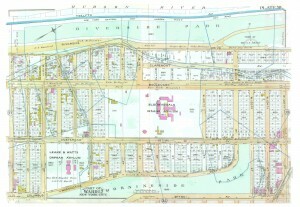 We are proud to announce the launch of our site, Morningside Heights Digital History, or MHDH. Two years ago we announced a professional development program in the Columbia University Libraries for the Humanities & History Division. In our first iteration of the Developing Librarian project or, as we refer to it on social media, the #devlib project, our goal was to build a common project using an adaptation of the Praxis model for professional librarians. After an initial round of “introductions” to the technologies and skills needed to design our site, we divided into teams: design, editorial, management and development. For a more detailed breakdown of our different roles, please visit our credits page. The project was built on the Omeka platform, using the Neatline plugin for the interactive map and an interactive tour of the Butler Library Mural, and the Exhibit Builder for our different exhibits. We chose the Berlin theme, and modified it to suit our needs. The research was done individually, but we shared bibliographic and archival resources. We documented the process throughout on our Developing Librarian blog. When we set out to do this as a team, we wanted to accomplish much: to expand our ability to support and consult in digital humanities, to hone our research skills, to bridge the gap between IT and subject librarianship, and to bond as a team by sharing a common project. We feel we have accomplished all of these and more. In particular, we find all aspects of our work as a team have benefited from developing a project together. Learning to build consensus around difficult issues will have a lasting effect on all we do in the libraries and on campus. We have always emphasized process over product in this training, but we are excited to share our web exhibit and this model for future professional development at Columbia and elsewhere. 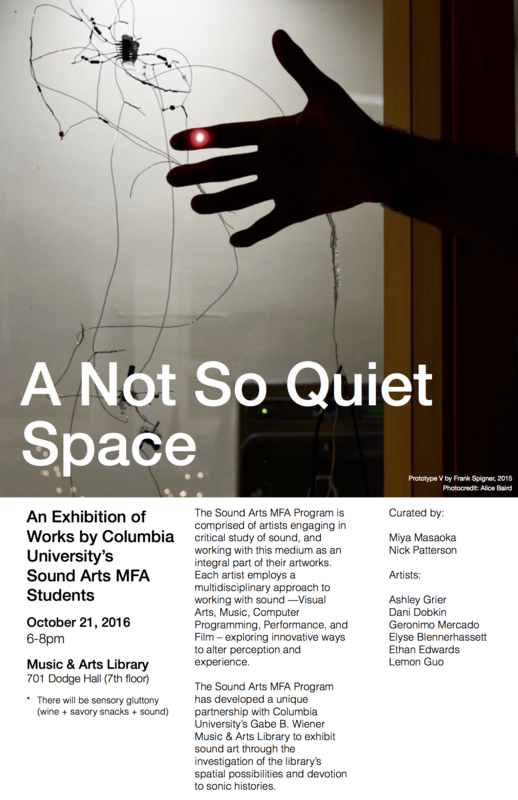 This entry was posted in Digital Humanities Center (DHC), Events & Exhibits, News on October 2, 2015 by Anice Mills.